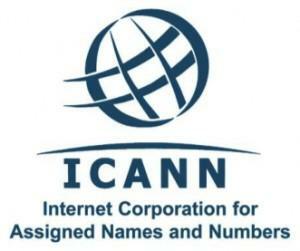 On March 14, the Commerce Department’s National Telecommunications and Information Administration (NTIA) issued a press release stating its intent to “transition key Internet domain name functions to the global multistakeholder community” from its current contractor, the Internet Corporation for Assigned Names and Numbers (ICANN). The plan is to “transition the current role played by NTIA in the coordination of the Internet’s domain name system (DNS)” to “global stakeholders.” We would add, without any vote in Congress, but we’ll get to that in a moment. This is a big deal. Administering the DNS is the key function that associates easy-to-remember domain names to numerical Internet Protocol (IP) addresses — the Internet Assigned Numbers Authority (IANA) — an essential component to making the Internet work. It is the critical choke point in terms of directing Internet traffic in a meaningful, authoritative manner. And, the U.S., which has administered this system at various levels for 45 years, is simply giving it away. Apparently, for nothing. A Government Accountability Office (GAO) report from 2000 is highly informative on this topic. It states that DNS started at the Department of Defense in 1969 as ARPANET before being superseded by the National Science Foundation as NSFNET in 1990. In 1992, the Foundation was authorized by Congress to allow commercial activity on the Internet, enabling it to enter into a contract shortly thereafter with Network Solutions to sell domain names on a for-profit basis. Then, in 1997 then-President Bill Clinton issued a directive calling for the Commerce Department to “support efforts to make the governance of the domain names system private and competitive.” The Commerce Department’s NTIA then took over stewardship DNS. With the Foundation out of the way, NTIA issued a policy stating it was ready to enter into a contract with a new non-profit corporation to facilitate the new online marketplace for domains. Dr. Jon Postel, the director of the Computer Networks Division of the Information Sciences Institute at the University of Southern California, who helped develop ARPANET and then administered the IANA, in 1998 founded the Internet Corporation for Assigned Names and Numbers (ICANN). Shortly after Postel’s death in 1998, ICANN was awarded the government contract by NTIA to handle DNS management. During that time, groups like the Electronic Frontier Foundation (EFF) criticized the transfer of DNS to a private foundation like ICANN. “Internet administration has always guaranteed free speech and due process, since it has been done by U.S. Government contractors who are required to follow the U.S. Constitution. If the New IANA moves Internet administration out from under the U.S. Government, as there is general agreement to do, the public will lose these guarantees,” Shari Steele, Staff Counsel at EFF warned at the time. Although Steele added “unless they are explicitly written into the charter of the New IANA,” that is not particularly material in the current context. Nor would it have been then. Whether or not it is in their charters, private communications companies and foundations are not legally obliged to protect First Amendment rights. Only the government is. Leaving this nuance aside, Steele and EFF were right then on the overall point of who the First Amendment applies to, and it holds true today as the Department of Commerce seeks to transition IANA governance to some new, as of yet unnamed international body. All ICANN is, is a government contractor, per NTIA’s website: “The Internet Corporation for Assigned Names and Numbers (ICANN) currently performs the IANA functions, on behalf of the United States Government, through a contract with NTIA.” If an issue of censorship were to ever arise under the federal government’s administration of DNS, even via government contractors like ICANN there would be a clear recourse via the First Amendment protections of freedom of speech and of the press via federal courts. Whereas, under the current transition plan, no such constitutional protections will be afforded — to anyone. Why? Because authority of DNS is being transferred from the one entity bound by the First Amendment, the federal government, to — who exactly? Is it a group of private foundations, including the Internet Society, ICANN, the Internet Architecture Board, the Internet Engineering Task Force, the World Wide Web Consortium and the Number Resource Organization? None of those are bound by the First Amendment. Or, 1net.org, the new “discussion platform” developed by these foundations to develop the transition plan away from federal government administration of DNS? In October 2013, these foundations agreed on the “need for globalization of ICANN and IANA functions” in the Montevideo Statement on the Future of Internet Cooperation. 1net.org is not bound by the First Amendment. Almost two months before the Commerce Department had even issued its press statement, ICANN executive director Fadi Chehade called for turning over U.S. control of the Internet in an exclusive interview with CNET. “This oversight is not sustainable any longer, and therefore we should work with the US to hand over its superb stewardship. We should all be thankful for the stewardship of the US government. It’s worked marvelously well. Now it is important for the US government to appreciate it’s time to have that stewardship headed to the world community through the ICANN’s multistakeholder model,” said Chehade. Of the 27 representatives, only three will be represented by the private sector. 13 will be governments. 2 will be the United Nations, including Hamadoun Touré, Secretary General of the International Telecommunication Union (ITU). The rest will be the private Internet foundations listed above, academia, and civil society, whoever they represent. This committee — and any proposal they develop — will not be bound by the First Amendment. First, an international organization, however constituted, whether via the United Nations or a consortium of private foundations, to handle DNS, will offer zero First Amendment protection to anybody in the event of censorship. Where can free speech violations be taken to? The World Trade Organization? The United Nations? Who? Certainly, not federal court. This is extraordinarily dangerous, akin to selling the U.S. nuclear arsenal to a third party. Second, DNS being handled by a dozen governments, the UN, and a handful of foundations is not what the 1997 presidential directive authorized the Department of Commerce to do in “support[ing] efforts to make the governance of the domain names system private and competitive” and not what ICANN’s memorandum of understanding with NTIA states that the purpose is “to foster the development of a private sector management system” for DNS. Finally, the Obama Administration cannot give away the IANA and control over DNS to anybody, it can only contract that service out, and then only under very limited circumstances per the U.S. code. The Commerce Department still retains the right to terminate ICANN’s Internet Assigned Numbers Authority (IANA) functions contract, and to replace ICANN if necessary. When ICANN’s contract with the federal government expires in 2015, as a government contractor, it will no longer possess the authority to administer DNS or IANA. That will remain with the federal government. Otherwise, it takes a vote of Congress, which has plenary power over regulating interstate commerce, to authorize the transfer of control over DNS to any entity — the Commerce Department’s 1998 power grab notwithstanding. Congress has already legislated in this area, first in authorizing the National Science Foundation to allow commercial activity on the Internet, and then in defunding the Foundation’s mandate. Therefore, it is up to Congress to reassert its power to regulate in this area — before Obama gives away the Internet to the international community, at the expense of future generations’ vital freedom of expression.